Mi, I am so excited I found the perfect birthday gift for Yasu! I came across this book yesterday “Oriental Rugs An Illustrated Lexicon of Motifs Materials and Origins” by Peter F Stone, one of the world’s leading Oriental rug experts. You know Yasu’s birthday is around the corner and I was wondering what to get her when I spotted this book in her wishlist! What a stroke of luck! As I browsed the book, I was enchanted by the wealth of information it contained about all the unique rug types out there. 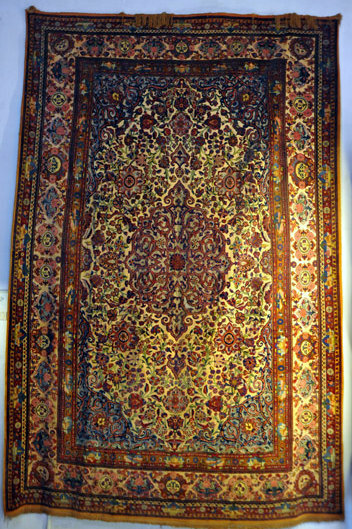 You would not expect something like rugs to have such a variety of styles/origins/etc. The best part is it is written in a way that anyone can enjoy learning about rugs – from novices to experts. You know what a fan I am of organized research and this book organizes the information systematically. I can’t wait to gift it to Yasu! Remember that painting she did of an oriental rug? Looked so much like this! This beautiful book is a definitive guide to Oriental rugs and is the best of its kind today. There are more than 1000 photos in glorious color with illustrations and definitions for almost every rug and textile term. What is special is the information spans geographical locales spanning Morocco to Turkey, Persia, and the Caucasus region, Central Asia, Afghanistan, Pakistan, India and China. 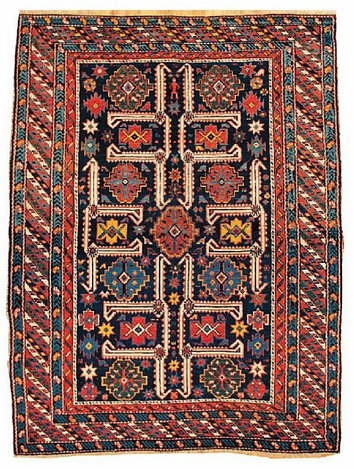 The book focuses on the rich hand-knotting and hand-weaving traditions of the Near East and Central Asia, and also includes some examples of Scandinavian and Native American weavings. Very detailed and painstakingly compiled!. This book is a golden reference for researchers and collectors especially because rugs are now being recognized for their importance in art history. There is more and more research about oriental rugs as they are the doorway to information about traditions. These include weaves from southwest Persia, Baluchistan and Kurdistan. The book also profiles specific rugs of historical significance and explains technical terms used by local producers and traders – this will be especially useful for Yasu. I am so glad this book “Oriental Rugs An Illustrated Lexicon of Motifs Materials and Origins” will make the perfect gift for Yasu’s birthday, besides being a solid reference for her business. I just know it will occupy a place of pride in her library on her favorite bookshelf!. How I wish you were here to present it to her,Mi!. What a lovely book, Vidya. I might look at getting it for a friend too! That sure looks like an interesting book. It’s really great when one manages or chances to find an appropriate gift for a dear friend! That seems an enticing book. Thanks for bringing it to my attention. I wonder if I can purchase a flying carpet. Tired of flying by the seat of my pants.